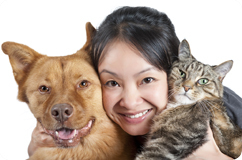 Welcome to Shoppers Pharmacy Pet Savings Program, your online resource for discounted pet medications. Because Shoppers Pharmacy Pet Savings Program provides access to discounts on all different types of pet medications we have several tools and resources available to you to help you find the best price on your pet's medication. Simply ask your veterinarian to write you out a prescription, then visit Shoppers Pharmacy Pet Savings Program to guide you through the simple ways you can begin saving hundreds of dollars or more per year on your pets medications! If you cannot locate your pet's medication on our website please call our customer service team and someone will be more than happy to assist you! 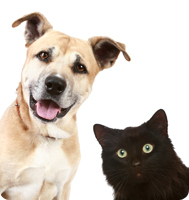 Some of the most common pet specific medications such as Frontline, Heartgard and Revolution can be found and priced by clicking on the Pet Specific Meds link above. Did you know that approximately 50% of all prescriptions prescribed for your pet can be filled at your local pharmacy, saving you hundreds of dollars or more per year on your pet's health & wellness. Please be sure to ask your veterinarian to provide you with a written prescription so you can utilize the Retail Pet Meds link above and start saving at your local community pharmacy. And finally, in certain instances your pet's prescription may require extra special attention. These medications are commonly referred to as specialty compounded drugs. In order to make sure your pet receives the best care available we ask that you please call our specialty pharmacist at 1-800-866-0514 to assist you with these medications. The Specialty Pet Meds link above provides you with some of the more common medications in this category. If you have any questions or need help with your pet's prescriptions, the customer service team at 1-800-866-0514 can assist you filling your prescriptions. Although Shoppers Pharmacy Pet Savings Program was created for your pet's well being, we prefer if you do not allow your pet's to call in directly. Thank you for choosing Shoppers Pharmacy Pet Savings Program.